If you have any questions about operating or troubleshooting equipment that we sell, please let us know. If it's something in which other customers may be interested, we'll add it to the FAQ section. Need ink-rolls ? We have them in stock - order inkrolls. The shafts on the ribbon holder are different sizes for a reason. Do not remove the cap from the take-up spool on the new ribbon, that is the RFID tag that allows the ribbon to communicate with the printer. If you take it off and damage or lose it, you will have to buy a new ribbon. Which Shredder Bag should I use ? What do the lights mean on my shredder? Why should I oil a paper shredder? We service and repair high security, fine cut shredders, and the main problem we find is that they have not been oiled regularly with the right kind of oil. Oiling your crosscut paper shredder regularly is the best thing you can do to optimize performance. The tight tolerances in the cutting head of a high security shredder demand lubrication, if you find the number of sheets you can shred in one pass is not what it should be, oil the cutting head. Unless the manufacturer states otherwise, you do not need to oil a straight or strip cut shredder. Only use the oil supplied by manufacturers such as Intimus, Dahle or Ideal. Intimus, Dahle and Ideal oils lubricate the cutting head while their detergent properties help flush out dust from the cutting head. Vegetable oils do a poor job. Some of the so called shredder oil sold by office supply stores, chain stores and stationery stores is poor quality, even though it may have a big name attached. It can leave a sticky residue which causes paper dust to stick, and over a short time gums up the cutting head. For the same reason, do not use motor oil. $3000 or $4000 shredders have been wrecked because the user tried to save money on oil. Funny thing is, the correct type of oil is no more expensive. To oil your shredder properly, turn it on and press the forward button or block the input sensor with a piece of paper. With the machine running, squirt a liberal amount of oil the full width of the cutting head. Do this three times and then switch machine into reverse and oil again while it is running backwards. Use the right oil, the one recommended by the manufacturer, not from the stationery store just because it may be a little cheaper. Control display (8) comes on, reverse button (4) LED display and control display (7) flashes. Squirt a stream of Intimus Shredder Oil through the paper feed slot (12) onto the full width of the cutters. Open the door until the control display (8) lights up. 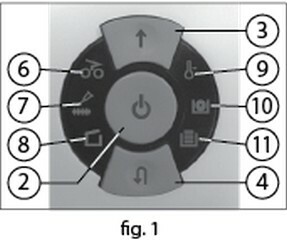 The control displays (7) and (4) flash. Press the reverse button (4) and keep it held down until the control display (7) goes out. The cutters now start a cleaning cycle automatically (forward and reverse run) and then switch off. The machine is ready for use again. AF Theriault currently employs almost 200 people. We recognized a need for an ID card system for tracking our people. After discussing our goals and our vision to the staff at Davies Enterprises, we found our solution. We were provided with recommendations to meet our needs and still be cost efficient. We were given the tools and resources to design and develop our new custom ID cards with rich colors and images which depicts the pride we have in our company. The hardware set-up and training was seamless and the customer service was above and beyond what we had expected. We highly recommend working with Davies Enterprises for your organization's ID card needs.